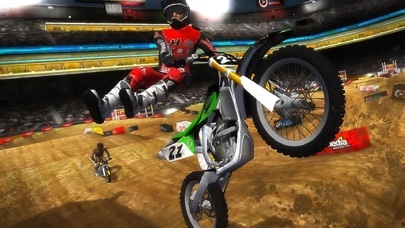 Bury the competition as you ride like a pro! 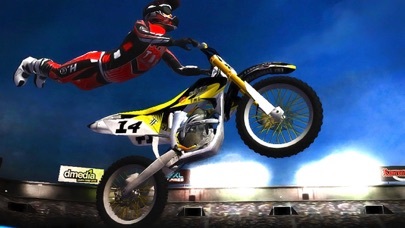 Discover secret jump combinations as you master the physics of motocross in this high-speed racing adventure. 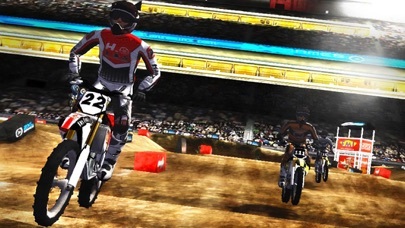 “2XL Supercross Lite” is an all-new offroad racing experience from the creative team that brought you such popular hits as: Motocross Madness, ATV Offroad Fury and MX Unleashed. 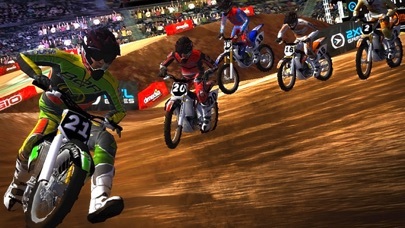 This rhythm-based racing game is easy to pick up and play, but its ever-increasing challenges will keep you in the zone for hours. Blitz your way through carefully crafted doubles, triples and treacherous whoops on a custom track designed by Motocross champion Stephane Roncada. You won’t believe what you’re playing in the palm of your hand! 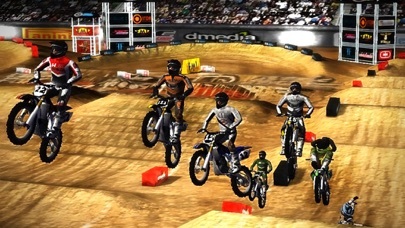 “2XL Supercross Lite” features liquid-color graphics, fully interactive 3D physics, surround sound, authentic engine recordings, particle effects, projected shadows and lighting. For hours of additional motocross racing, please purchase the full version. I love this game. The graphics are awesome. Whoever made this game is awesome. Definitely the best game ever. Who wouldn't like it. The only complaint that I have though is that they need to let you pick the tracks,bikes,people and add ATV's and tricks. I definitely recommend getting this though,totally worth the gigabyte. I love this game! The sounds are great and the picture is amazing for an iPhone great job who ever made this game! I am buying the full version now!